TYRONE GAA has lost one of its greatest and finest with the passing of Frank Higgins. A member of the breakthrough Ulster Championship-winning team of 1956, he was one of the most gifted footballers of his time, and played a significant role in the rise of the Red Hand county as a major force. It was back in the 50s that the seeds were sown for the successes that has been harvested in more recent years, and Frank Higgins, a visionary and a history-maker, was central to the birth of an evolution that continues to this day. 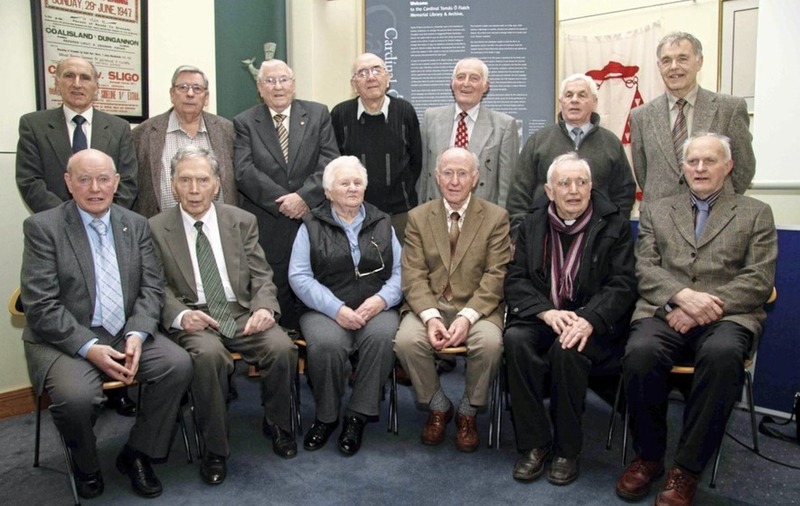 An attacker with the ability to create and execute scores, the Ballygawley native played at corner-forward on the Tyrone teams that won the county’s first ever provincial title in ’56 and retained the crown a year later, having failed to even contest an Ulster final since 1941. Cavan had dominated Ulster in the 40s and 50s, winning a multitude of Ulster titles and five All-Irelands, but the dominance of the legendary Breffni men was brought to an end in 1956 by a swashbuckling Tyrone, who sent shockwaves through the GAA world with a 3-5 to 0-4 Ulster final victory. Sadly, the Red Hands fell to a narrow two-point defeat in the All-Ireland semi-final at the hands of a legendary Galway team. 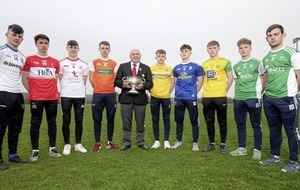 They also lost the 1957 All-Ireland semi-final to Louth, but Tyrone had announced their arrival as a provincial power of Ulster. He also played a central role for Queen’s University in a first Sigerson Cup triumph in 1958, when he excelled as a dominant and athletic centre-forward. It was no surprise that he was also selected at full-forward on the Combined Universities team which played Ireland. Frank Higgins also made a telling impact as an astute industrialist and businessman. After graduating from Queen’s University in industrial science, he joined the Ford Motor Company, and was widely credited in helping the Belfast plant rise from 17th to first in Ford’s European network. He was a leading light in the engineering revolution that swept through Tyrone in the early 60s and remains the beating heart of the region’s economy to this day, assisting several fledgling companies as they grew and expanded on their way to prosperity. He became managing director of Powerscreen in Dungannon, before joining Tyrone Crystal as executive chairman, presiding over flourishing times for both companies. Prominent in community life as well, he brought his business skill to a number of local organisations, and served as chairman of Dungannon West Development Association and of Dungannon Enterprise Centre. He was also a past president of Dungannon Rotary Club. Frank was laid to rest yesterday in St Malachys’ Cemetery in Edendork following Requiem Mass in St Pius X Church, Moville, Co Donegal. He is survived by his wife Marie and children Joe, Irene, Eamon, James, Patricia and the late Small Frank.